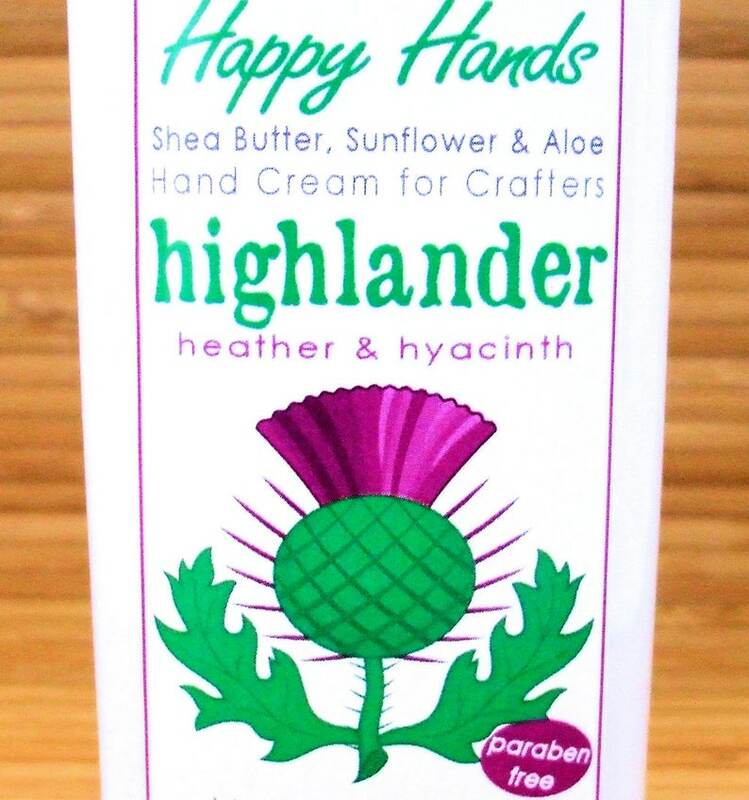 My "Highlander" hand cream scent was inspired by the bestselling Outlander novels of Diana Gabaldon. For kilted Jamie, I chose Scottish heather, of course, and for Claire the botanist, hyacinth (a floral wildly popular in 18th century England). So my blend of heather and hyacinth is a floral fragrance, but clean and soothing (not perfume-y), with leafy green notes freshened by cool Highland rain.